3D Vega Crystal - 50 x 80 x 50mm - can be Portrait or Landscape, our most popular shape. 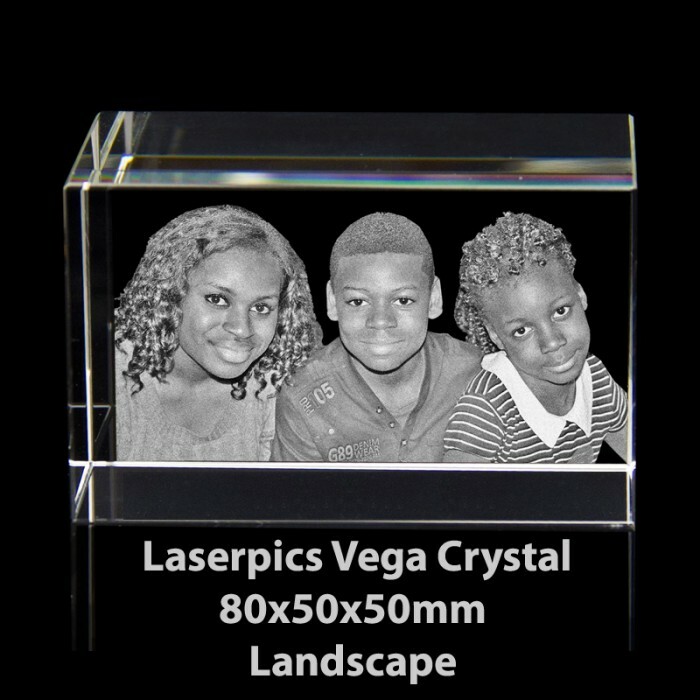 Create your own personal piece of history by having any of your photographs laser engraved inside Vega Crystal. 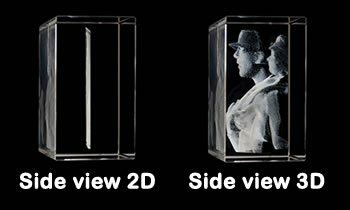 Thank you so much, just received my 3d crystal today of my son and daughter in laws wedding photo. Absolutely thrilled with the speed in which it was done, especially after enquiring about having the same photo done somewhere else and being told it would be around £100. The quality is fantastic and the process and delivery time is exceptional, just ordered a lighting base to go with it. Will definitely recommend you and use you in future. Thanks again. Really brings the person to life. Perfect way to remember my dad. I purchased 2 as present and everyone thought they were amazing. I will be back to get more. Truely lovely and amazing gift. Perfect gift. Brilliant service and delivery. Would definitely order again and recommend. I bought one of these as a Wedding Anniversary present for my son & daughter-in-law. They were thrilled with it. I have now bought them another with a picture of their baby - it's gorgeous !!!! So I have ordered another one as a present for another family member.